It's been a little chilly around here, complete with some ice and snow. 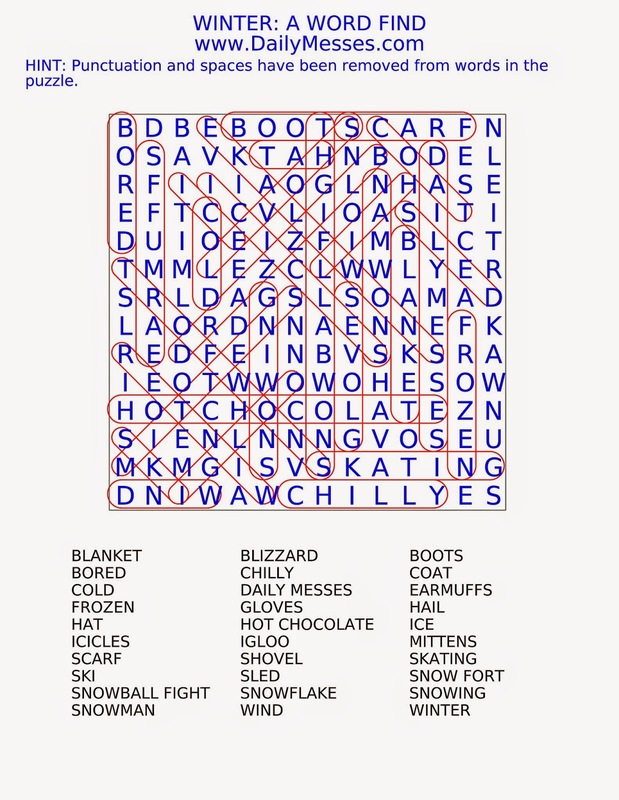 To help with the boredom, I came up with a Winter themed word find. 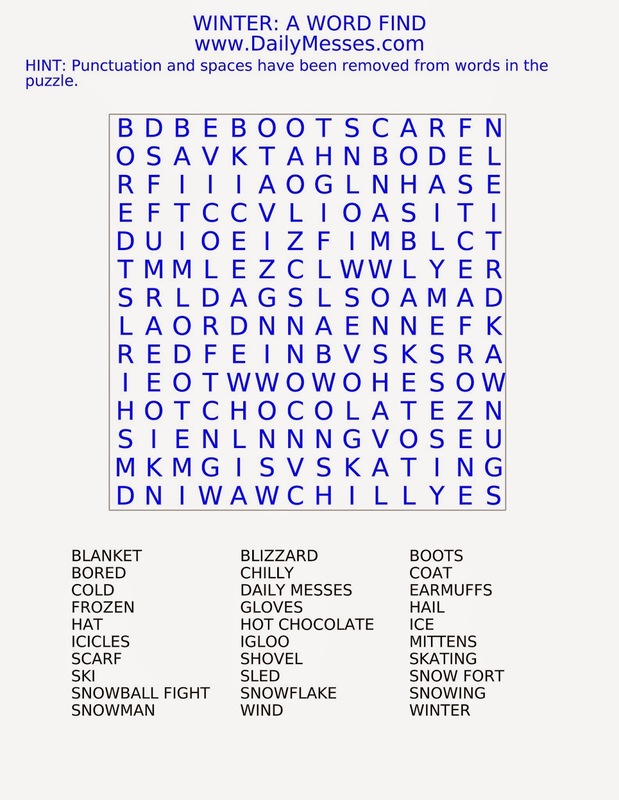 Answers are below!